Howard established Colman Coyle with Robert Coyle in 1984 and since that time has jointly overseen the strategic direction of the firm, successfully building the well regarded firm it is today. Howard has a reputation for his depth of knowledge and extensive experience in commercial disputes, property and construction disputes and professional negligence claims. As a seasoned litigator he has acted for clients in a wide variety of significant cases including many landmark and important reported cases. He also has considerable expertise in alternative dispute resolution particularly arbitration, adjudication and mediation; and encourages his client’s to resolve their disputes out of court wherever possible. As Head of the Dispute Resolution he heads up a team who have acted for a wide range of clients from private individuals to major PLC’s and across a diverse number of sectors including property and construction, insurance and financial services, hotels and leisure, retail and others. Howard also heads up the firm’s International Service and conducts international arbitrations often in conjunction with lawyers in other jurisdictions. He is recommended by the International Law Referral Group as the commercial litigation expert for England. 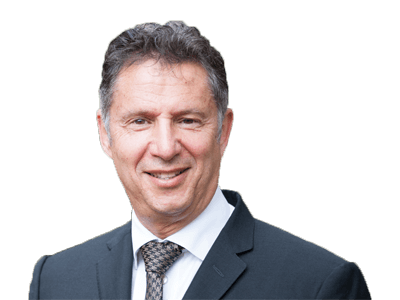 Howard is a Fellow of the Chartered Institute of Arbitrators, an Adjudication Panel Member of the Technology and Construction Solicitors Association (TeCSA), an ADR Group trained mediator and a Member of the TeCSA Specialist Construction Mediators Panel. Howard has been instructed by clients in numerous and varied cases where important precedents have been set in various areas of the law. Howard acts for the Claimant bank in proceedings to recover a multi-million US dollar loan from the Defendant, a major international commodities trader. The bank has successfully opposed the Defendants’ attempts to be allowed to recover its costs (budgeted in excess of £800,000) if it succeeds and is restricted only to recovering court fees which are minimal. The case, heard in the Commercial Court, is a good example of the Court’s increasing resistance to parties failing to comply with the rules and the approach taken on any application for relief. Howard acted for the registered proprietor of a substantial flat in Docklands in London. The bank claimed to have a prior interest having advanced money to a prior owner but having failed to register its charge against the title. The case involved difficult legal arguments regarding the “subrogation to the developer’s unpaid vendor’s lien” and interesting points of law regarding priorities of interest under the Land Registration Act 2002 and the extent of information required for protection under a Unilateral Notice. It had been hoped that the Supreme Court would give further guidance on these issues but unfortunately they refused permission to appeal. Howard represented Claims Direct (then the leading Claims Management Company) in cases before the Senior Costs Judge and the Court of Appeal to determine issues relating to the recoverability of premiums for ATE insurance by successful claimants. This was the first time the Courts were asked to look in detail at the make up and how much of the cost of ATE policies was recoverable from the defendant and the affect on the industry as a whole. This involved a detailed investigation by the senior Costs Judge of the Claims Direct Scheme. It was of wide significance not only for the scheme itself but for other similar schemes such as the recoverability of referral fees and many other important points of practice. Howard acted for the claimants who had suffered substantial withdrawals from their account perpetrated by a fraudster. The case established an important principle that there was no duty upon a customer to report fraud of which they did not possess actual knowledge. Howard acted for the only active Defendants in a claim seeking several hundred million dollars in damages for alleged multi-jurisdictional fraud. The Principal Defendant, an Italian-Swiss National, contested the jurisdiction of the English Court. The House of Lords decided when a person is “sued” for the purpose of founding jurisdiction under the Lugano and Brussels Conventions. The case concerned the recoverability of medical agency fees in predictable costs claims for road traffic accidents. Howard was instructed by the medical agency concerned in a successful appeal from the lower Court. The case was of great significance to the industry affecting hundreds of thousands of other cases. The matter was due to be considered by the Court of Appeal but the parties, with the assistance of the Civil Mediation Council participated in mediation. This led to a resolution involving all major players in the compensation industry. The parties entered into the Medical Report Organisation Agreement which has subsequently been renewed annually and continues to govern the recoverability of medical agency fees in hundreds of thousands of cases each year. Howard acted for the Association of Medical Reporting Organisations in the mediation and has continued to act for them in the drafting and negotiation of subsequent agreements. Howard acted for the beneficiaries of an estate who inherited upon the will which had been prepared by the Defendant’s solicitors being set aside as not having been validly executed. On the specific facts the solicitors were held not to have been negligent however the case established the important precedent that the solicitors had no right to recover the fees for the work which they had done in administering the estate (even though Probate had been obtained) as once the will failed, their entitlement to charge fell away. The solicitors were required to pay back all of the fees in full. The case concerned an issue as to whether a purchaser had complied with the strict time limit for payment of purchase monies in respect of a property purchase when he paid by a personal cheque as opposed to cleared funds. The case decided that payment by cheque which is delivered to the payee, not returned, and is met on first presentation is effectively as good as payment in cash on the date the cheque is given. Howard acted for the ATE Insurers (part of the DAS Group) in determining the reasonableness and recoverability of the premium for ATE insurance against an unsuccessful defendant. The case was of major significance to the ATE Insurance Industry as well as to the Defendant Liability Insurers. The Court of Appeal upheld the amount claimed as being reasonable and recoverable and gave guidance as to the duties of the claimants and their lawyers when considering various policies and general guidance regarding ATE policies. This remains the leading case in this area. Howard acted for the successful claimant in arguing that the “indemnity principle” had no application to fix recoverable costs under CPR Part 45 (11). This decision affects very large numbers of similar claims. Howard acted for the employer in a construction dispute. The issue for the Court of Appeal was whether the fact that a letter of intent envisaged a subsequent formal contract prevented the conclusion of a binding contract if no written agreement was formalised. The Court upheld the decision of the lower Court in favour of Howard’s client that it did not prevent the parties entering into a binding contract. Howard acted for the family in the challenge to the decision of the College to exclude their son as a pupil. The Court of Appeal considered the rights and duties of the College in relation to the terms of contract which were similar to those used by many other public schools. The Court gave guidance on issues of application in other similar situations. Howard acted for the Administrators in a case concerning the Administrators’ duties when dealing with a “pre-pack” sale and the approach to an application by a Creditor for removal of Administrators. The case was identified by The Lawyer as one of the top ten litigation cases of 2011.